We are happy to announce that support for Reading Festival (The First Leg) has started pouring in! 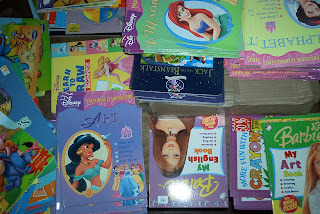 Already, sponsorship from Precious Pages Corporation with imprints ETL (Easy to Learn Books) , Lampara, Little Genius, as well as Mabuhay Educational Center boardgames and teaching aide posters already came. We hope more to come for the participating schools and children! In the Philippines, in addition to the rising problems in Philippine education with classroom shortage, teacher shortage at 49,699 in SY 2005-2006, lack of fund, and children no longer wanting to go to school for various financial and material reasons, the few who have perseverance are challenged about the access to education materials such as books. Thus, to address lack of interest in reading (and literacy in general), Bituen, together with Move on Philippines joined hands to highlight the importance of reading and literacy through Reading Festival (First Leg). MoP has agreed to donate books for winners and children who will join in the activity that will be graced by 4 Goin Bulilit Kids, young female and male dance groups that will be staged at Laoag City Auditorium (October 23, Friday), Heritage Resort (October 24, Saturday) and SM City Rosales (October 25, Sunday). The organizers hope to help children learn the importance of books and reading in achieving life dreams. They also hope to stage the activity nationwide through the help of generous Filipinos from around the world. Readers and the public are also requested to help this activity as donors. All donations will be used as prizes and listed on the souvenir magazine. Please click below to help.